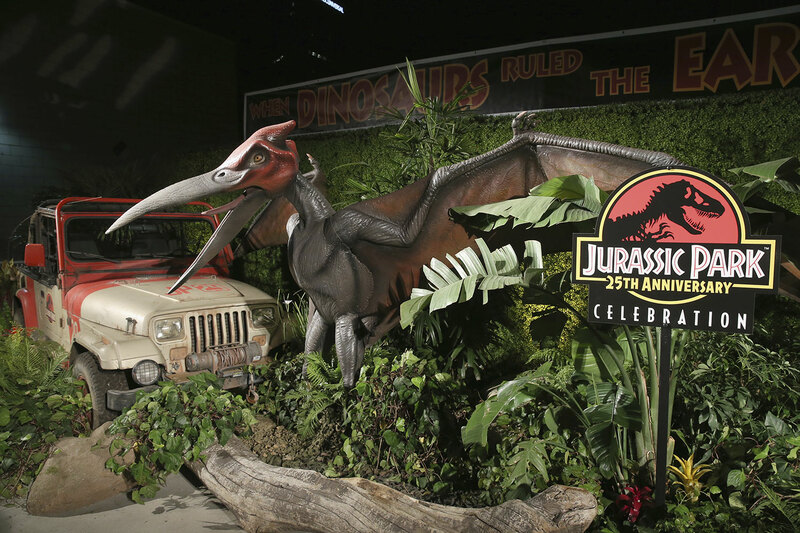 The 25th Anniversary of Jurassic Park has come and gone, but we have a quick recap for you guys who missed out. 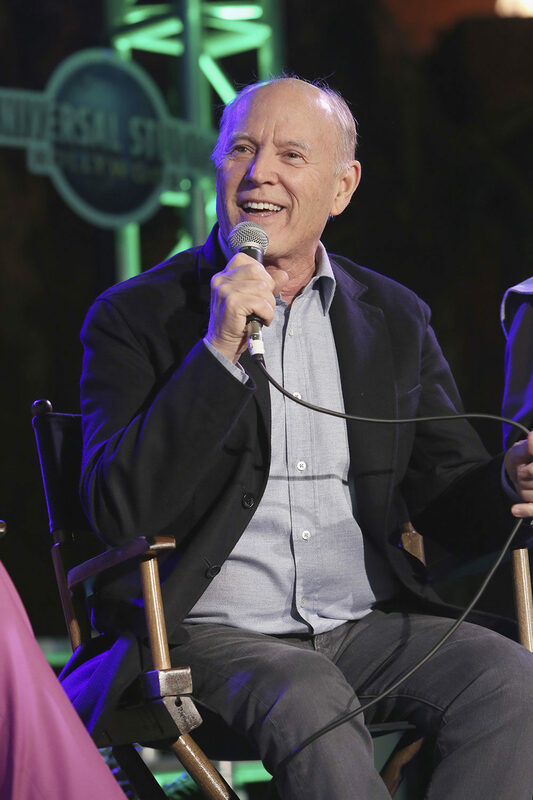 Find out who all showed up to the event and why you probably should buy a ticket the next time something like this comes around! 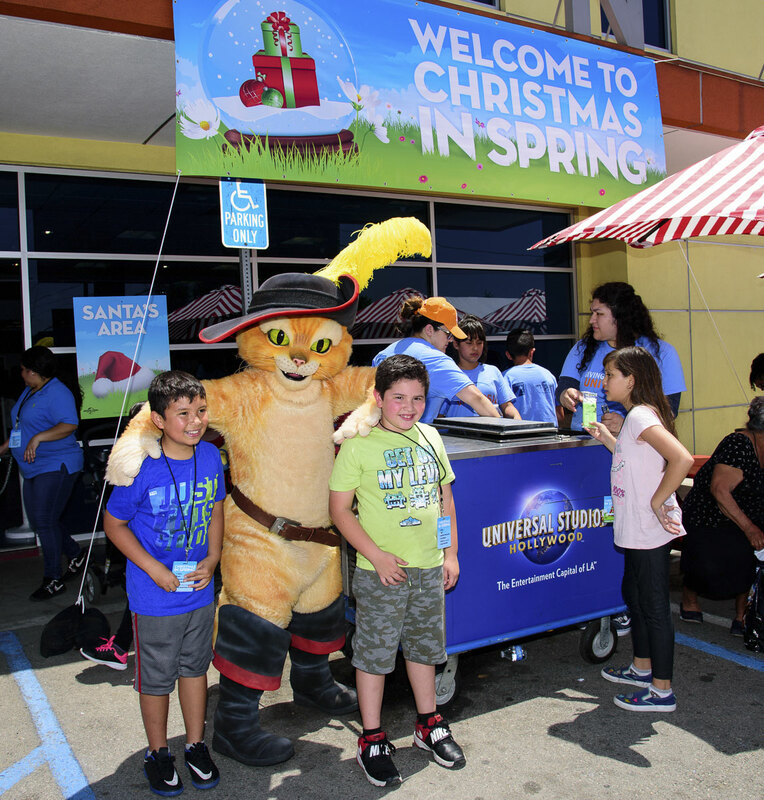 We’ll then close out with a look at Universal Studios’ “Christmas in Spring”, its annual community outreach event that was held over the weekend. 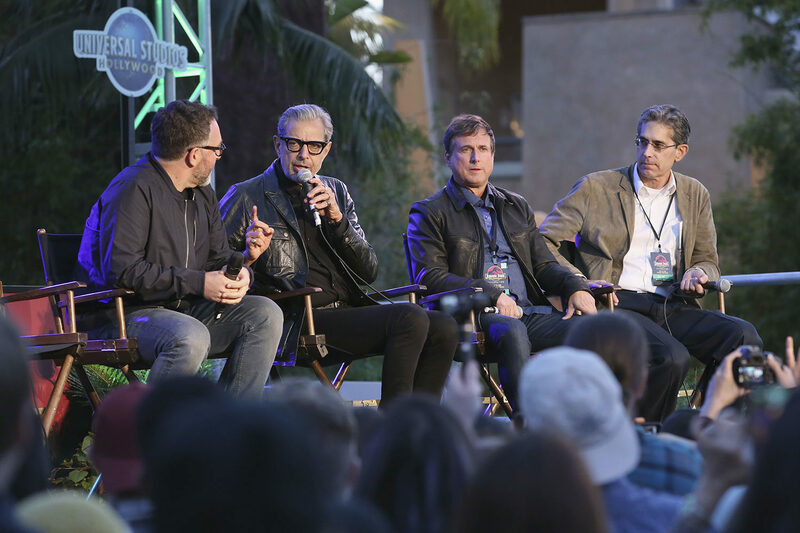 The super long named event Jurassic Park 25th Anniversary Celebration took place across three evenings in May at the place that made it happen, Universal Studios Hollywood. 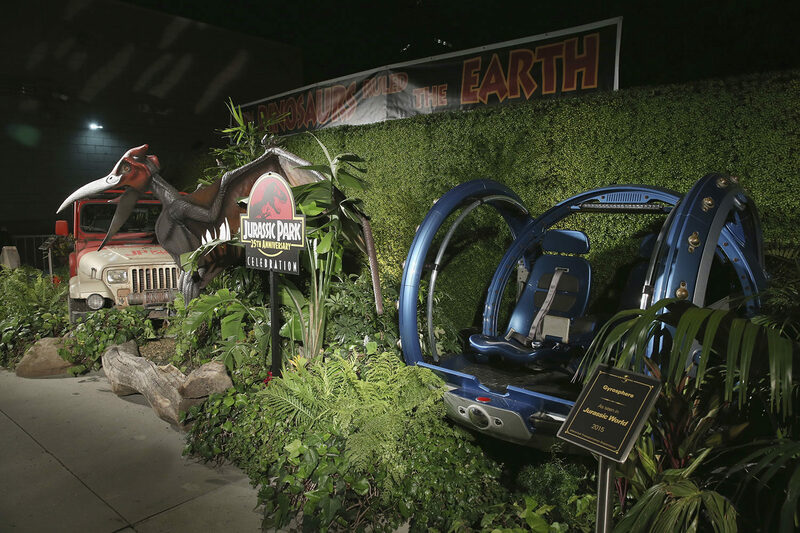 The festivities included a screening of the film in the luxurious Universal Cinemas at Citywalk as well as some time in the theme park for refreshments, a river adventure, merchandise, costume and trivia contest, filmmaker panel, and props and displays from participating vendors. 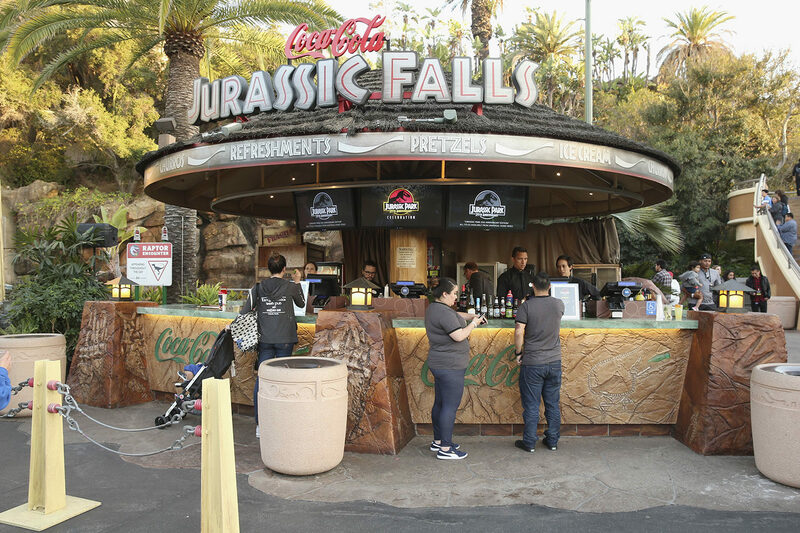 Get your beer on at Jurassic Falls! 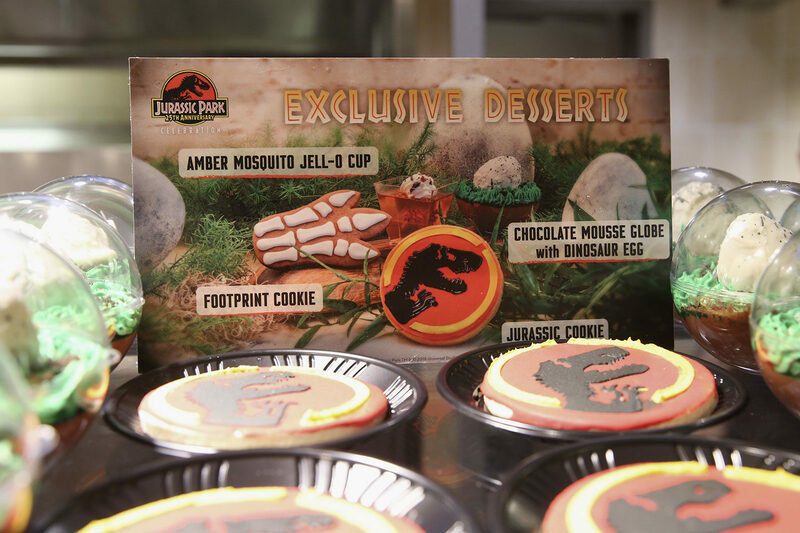 Exclusive Desserts from the evening that make you go “clever girl”. 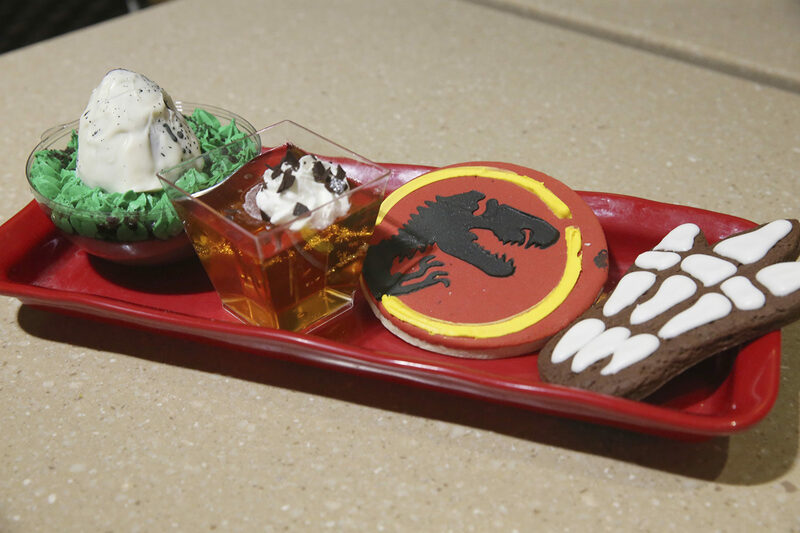 Amber Mosquito Jell-O Cup, Footprint Cookie, Chocolate Mousse Globe with Dinosaur Egg, and Jurassic Cookie. 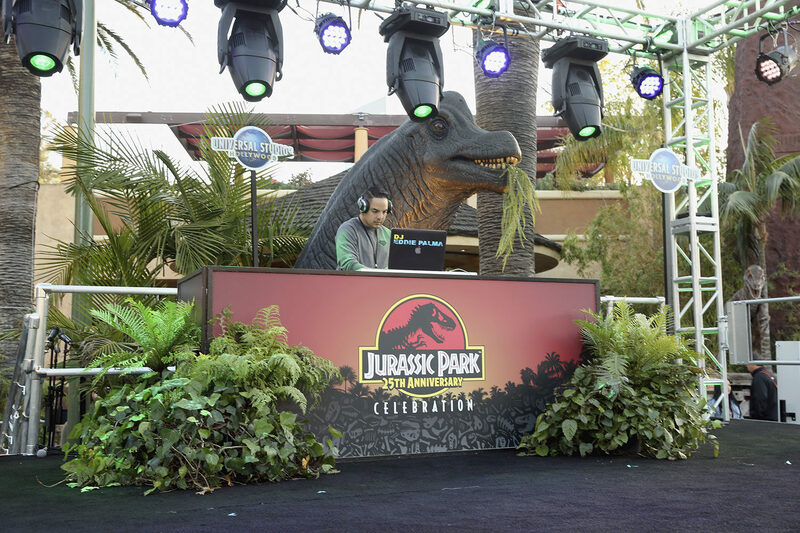 There was a DJ on hand for you to get down to, and some prehistoric props at the Movie Prop Showcase & Archives Exhibition. 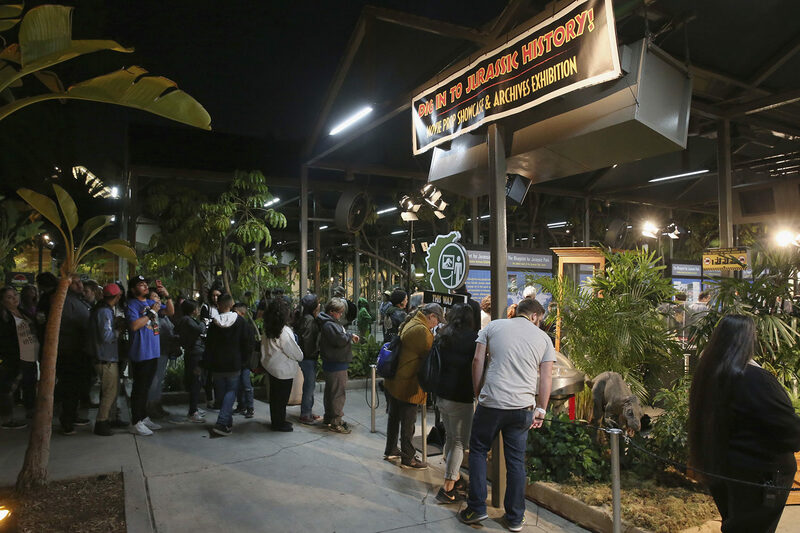 Kind of wish there was more of a rotation gallery at the theme park, don’t you? 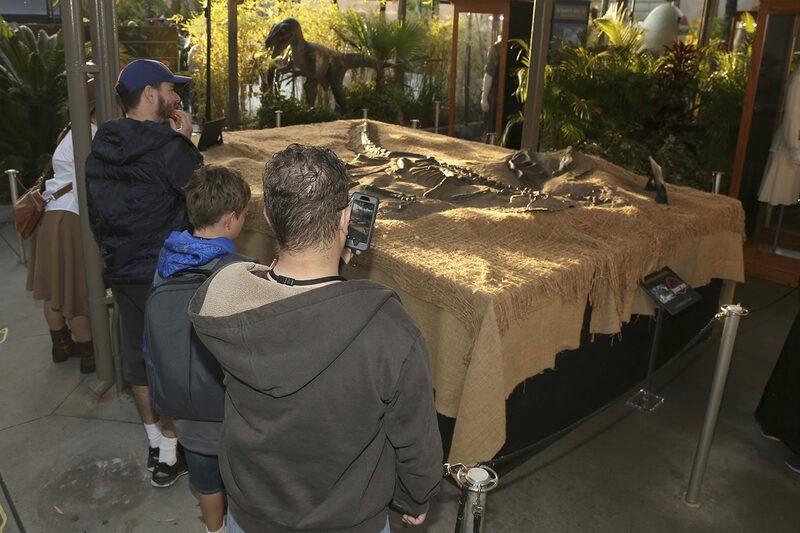 The Raptor Encounter received a “Fallen Kingdom” update for guests. 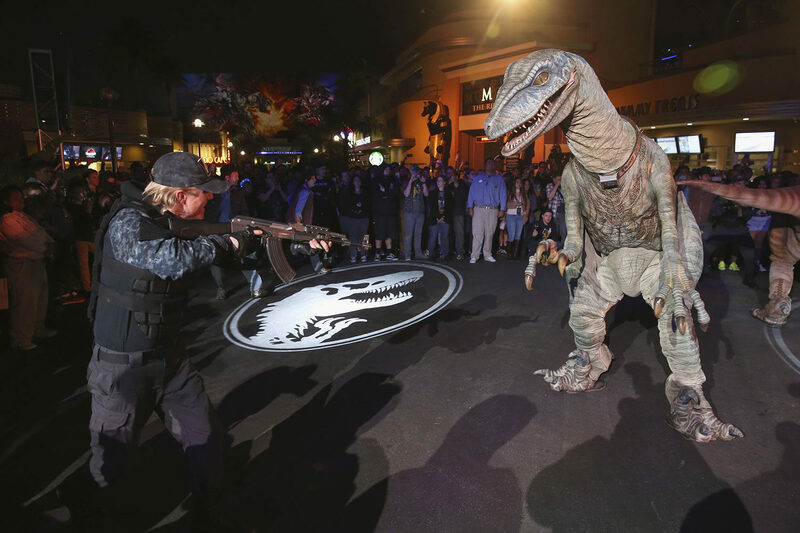 Costume Contests are always fun when everyone really gets into it. 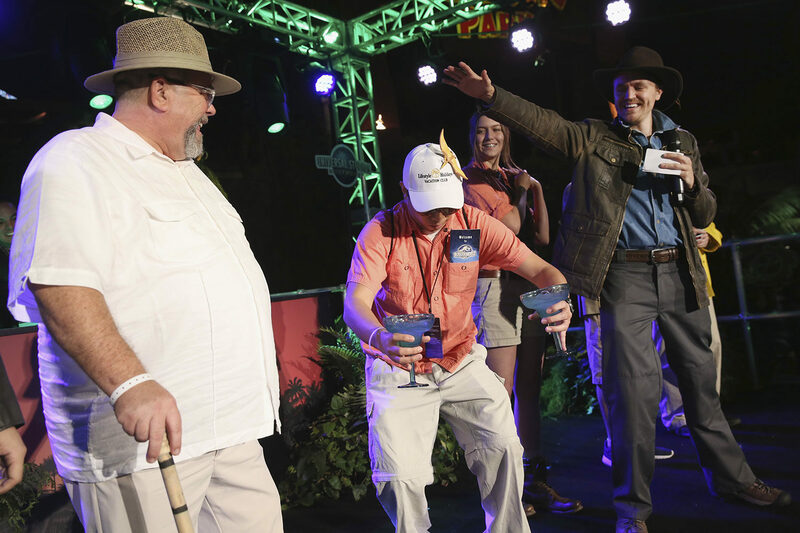 This guy wins for his Jimmy Buffett cameo costume! 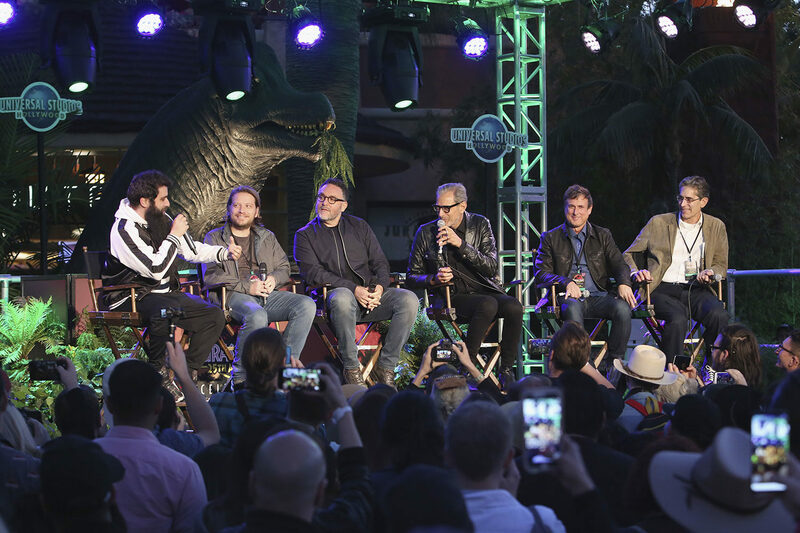 UNIVERSAL CITY, CA – MAY 12: Guests and host and Raptor Handler Chris (R) interact on stage at the Jurassic Park 25th Anniversary Celebration at Universal Studios Hollywood – Day 2 at Universal Studios Hollywood on May 12, 2018 in Universal City, California. 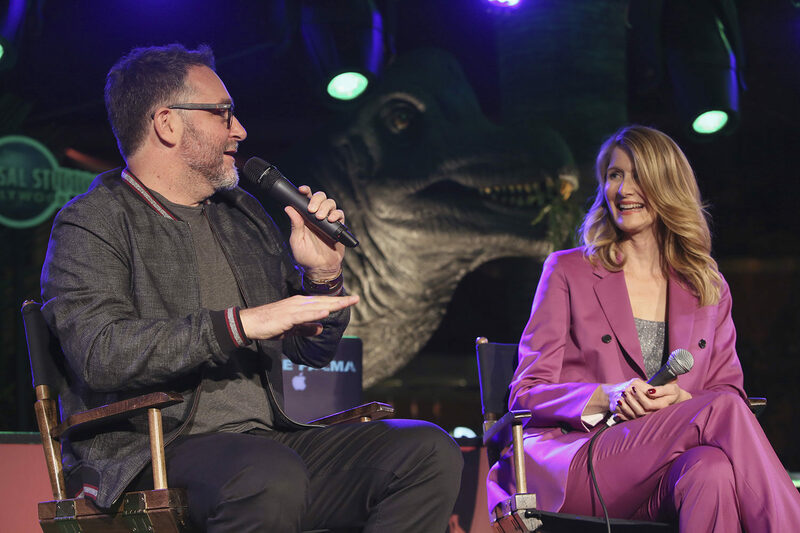 Each night of the celebration featured a different filmmakers panel hosted by Jurassic World director Colin Trevorrow. 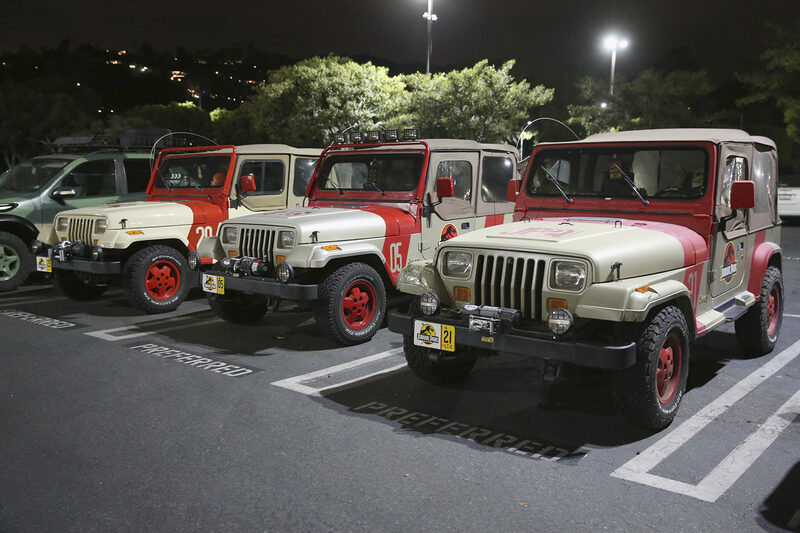 Three nights and three panels? It just means you had to buy a ticket for every night! 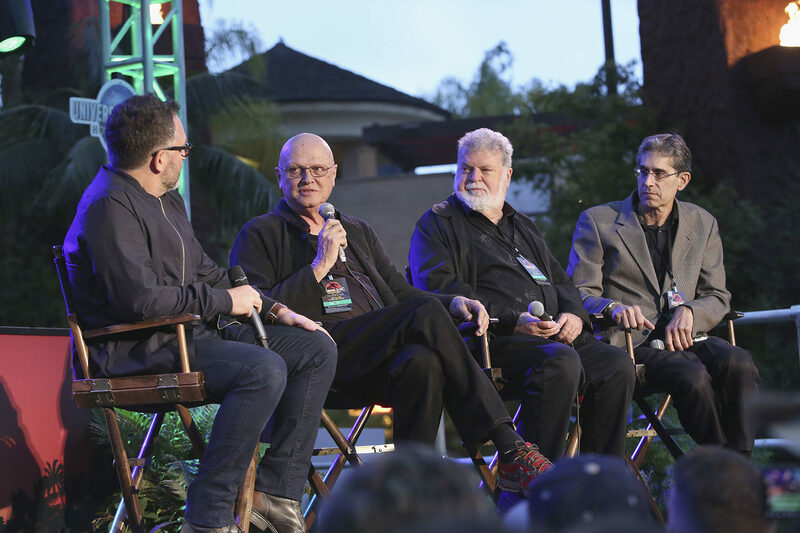 The first night featured Visual Effects Extraordinaire Dennis Muren, Cinematographer Dean Cundey, and Assistant Director John T. Kretchmer. 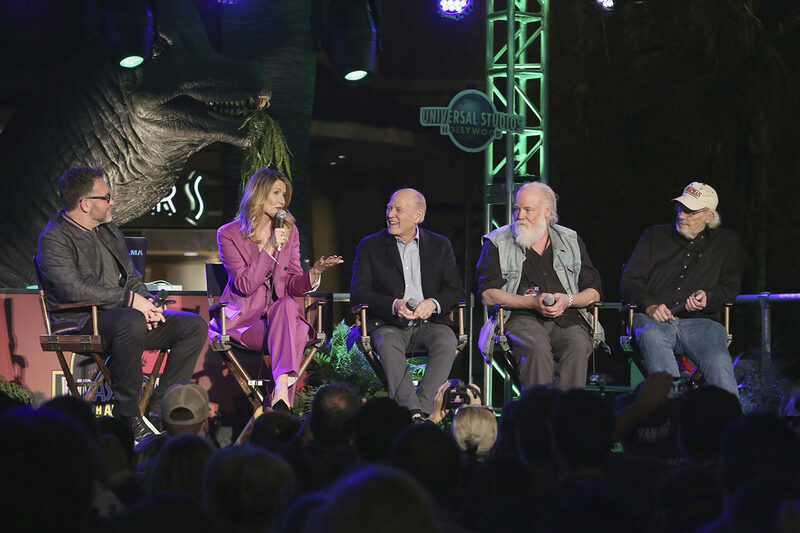 Second night panel brought us the talents of Laura Dern, Executive Producer Frank Marshall, Dinosaur Supervisor Phil Tippett (you had one job, Phil! ), and Paleontologist Jack Horner. 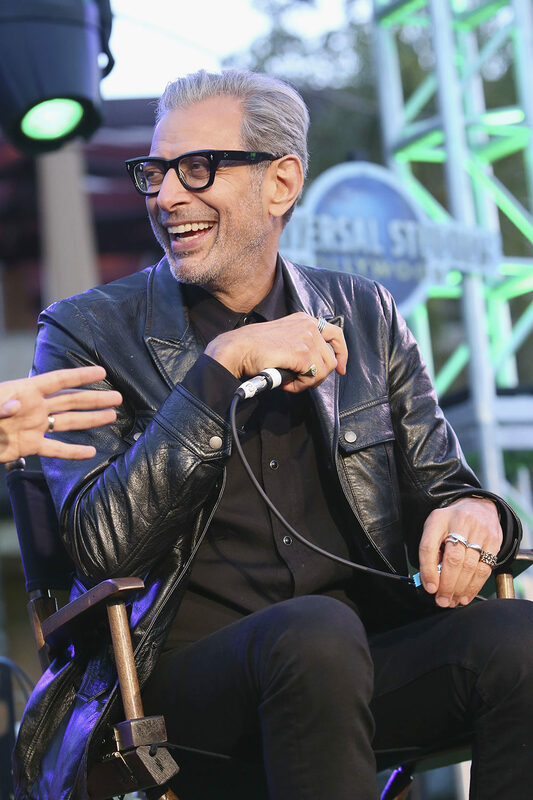 The third night however, which was a last minute add due to demand, featured none other than Jeff Goldblum! 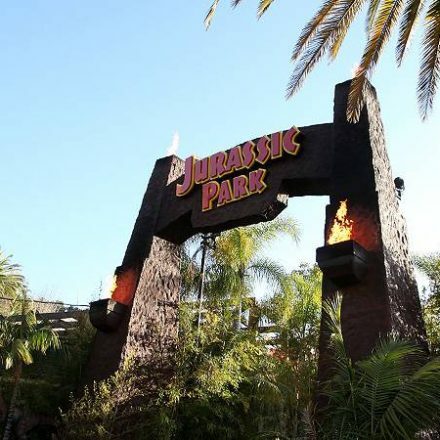 He was joined by John Rosengrant, the man who was inside the Raptor suit, and once again Assistant Director John T. Kretchmer. 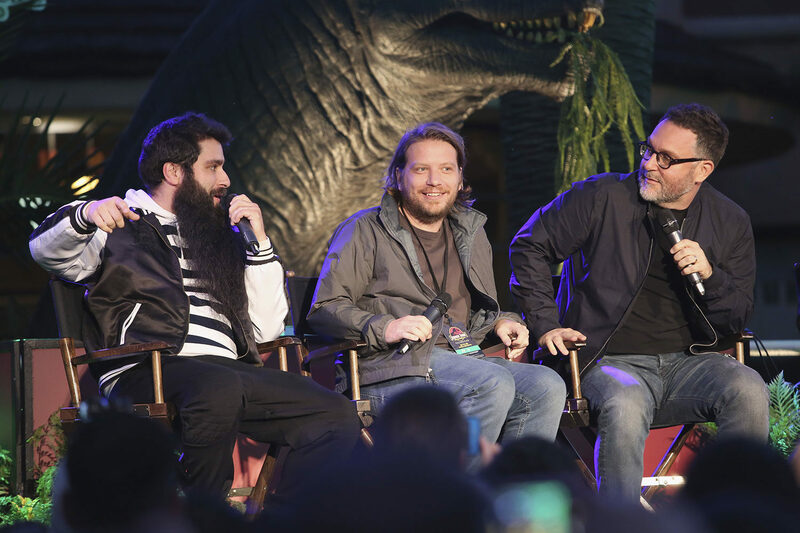 The panel was later joined by Jordan Vogt-Roberts (Kong: Skull Island), who created Jurassic imagery with ILM for a Universal Orlando promo, and Rogue One director Gareth Edwards to help moderate the panel as guest fans. 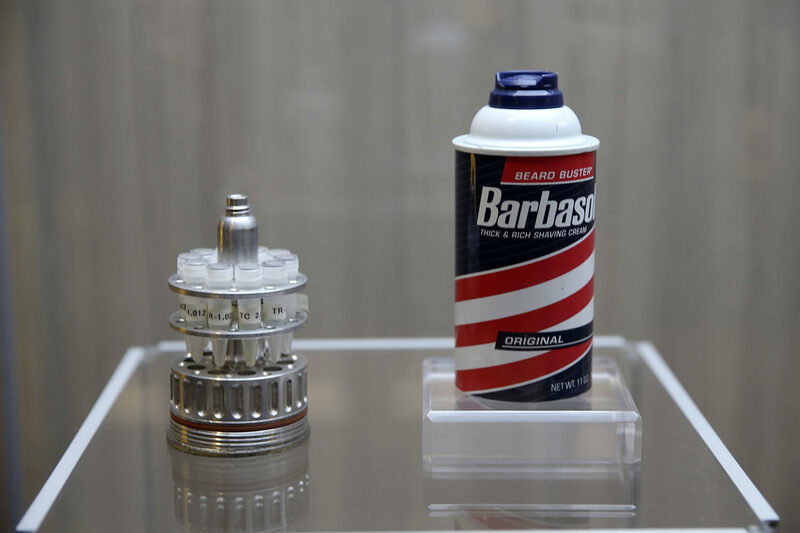 If you went in a Jurassic Park fan, you most likely came out an even stronger Jurassic Park fan. 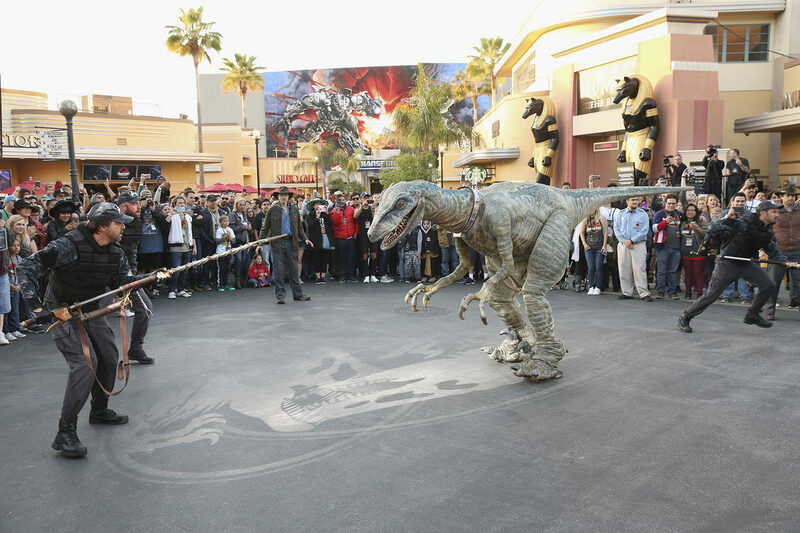 Let’s hope Universal Studios Hollywood does more events like this to celebrate the movies we all love. 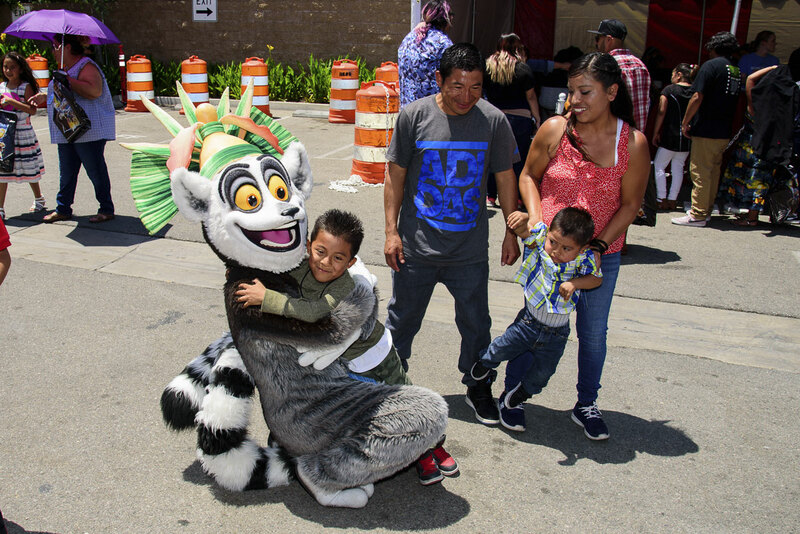 In closing, we wanted to highlight the many Universal Studios Hollywood employee volunteers who came together for its 27th year of “Christmas in Spring”, an effort to bring goodwill to families living in poverty in the San Fernando Valley, providing them with holiday cheer during a time of year when their needs are often overlooked. 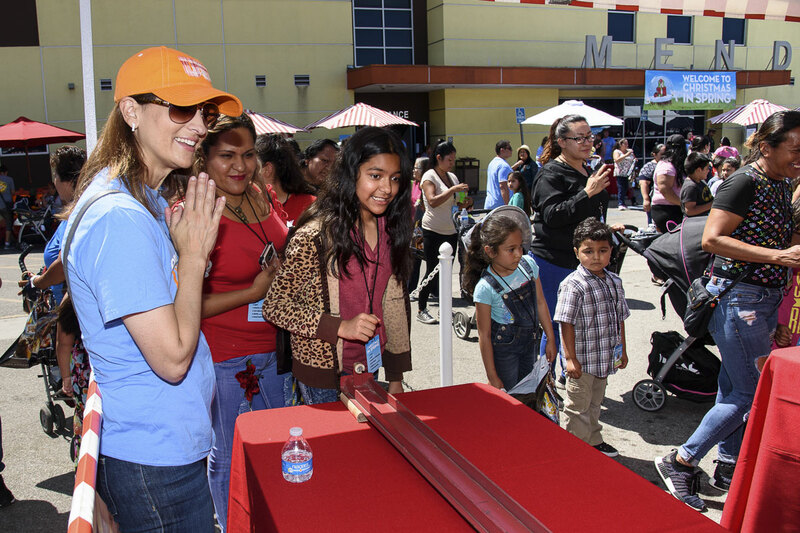 Co-sponsored by Universal Studios Hollywood and its “Discover A Star” Foundation that provides grants to deserving organizations whose initiatives help individuals and families to achieve more productive and fulfilling lives, this event has helped thousands in the community with the help of M.E.N.D. (Meet Each Need with Dignity). 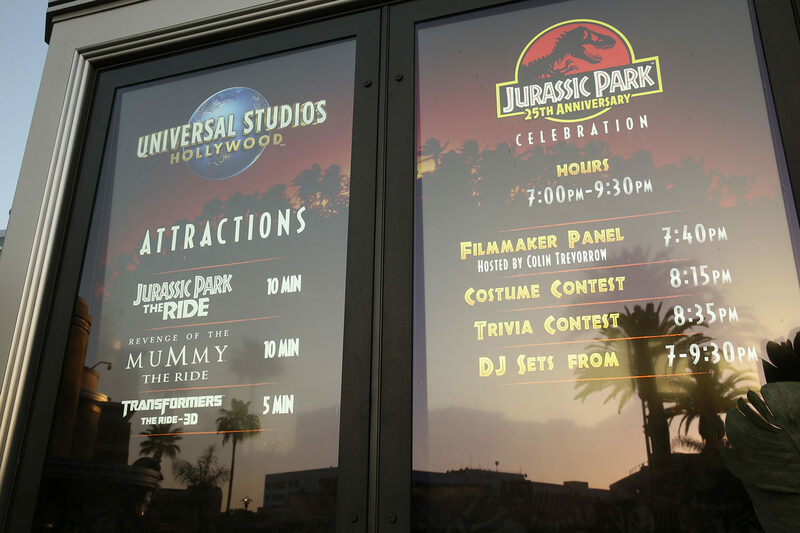 Kudos to Universal Studios Hollywood for their efforts! That’s it for today’s update! 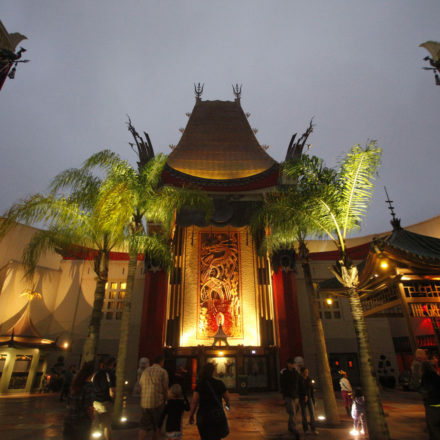 Next time we’ll take a look at the all-new Dreamworks Theater featuring Kung Fu Panda!